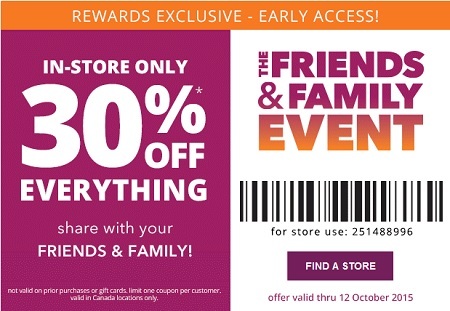 Last day of The Friends & Family Event from Payless ShoeSource Canada is here. Print a special sale coupon and start saving money. Bring the coupon to your nearest Canadian Payless ShoeSource store and receive 30% discount on everything. Hurry up, the offer ends today (10/12/2015). Official source of the information is Payless ShoeSource. More details about the promotion available at Canadian Payless ShoeSource stores.